We called in our order and stopped by to pick it up. When we got home and opened the box, I was pleased with the generous amount of toppings on it. On top was pulled pork, Applewood-smoked bacon, and beef brisket. There was some BBQ sauce drizzled on it, but it was dried out and hard to see. The pulled pork was a bit dry, but I can’t complain. I’m just glad Little Caesars has it as a topping. The bacon pieces were large cubes of bacon-y goodness. The beef brisket didn’t really stand out, flavor-wise. I attempted a cheese pull like I’ve seen all over Instagram, but when I picked up a slice of pizza, there were no cheese strings at all. Probably would have to be hotter. By the time we got home and opened up the box, the pizza had cooled down a bit. One of my favorite parts of this pizza was the crust. It was coated in their Smokehouse flavoring—which tasted like the flavoring on barbecue chips. This coating makes it so you can eat the crust without a dipping sauce. That being said, the best dipping sauce for this piece of would be Ranch. 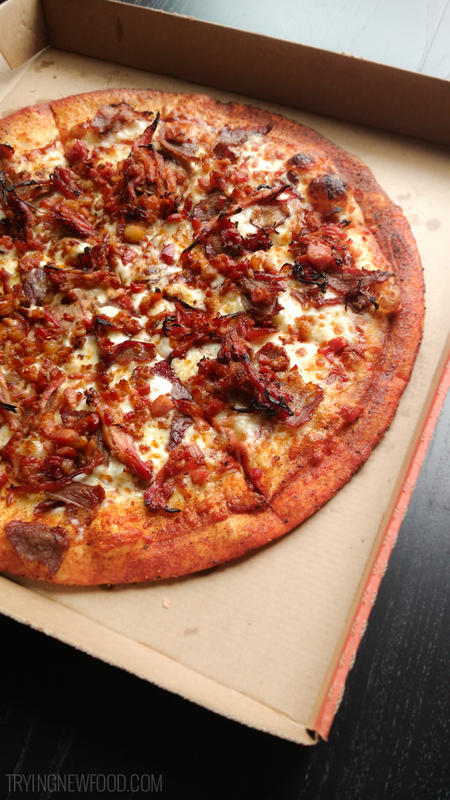 If you love barbecue, you should definitely try out the Little Caesars Smokehouse pizza. 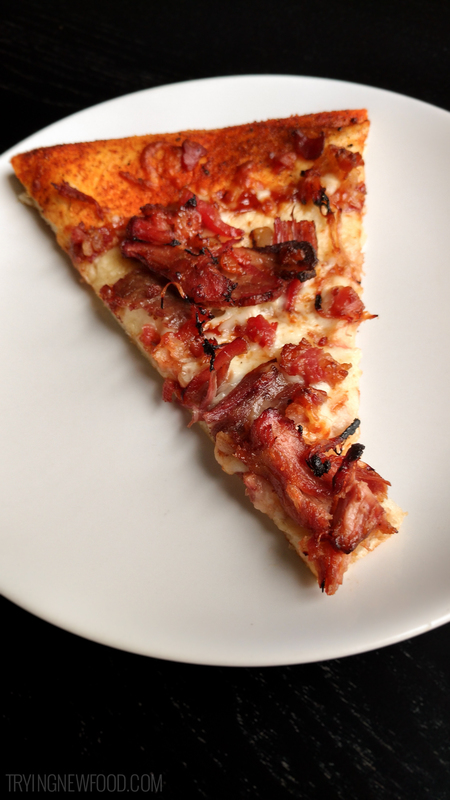 It’s extremely difficult to eat just one slice. 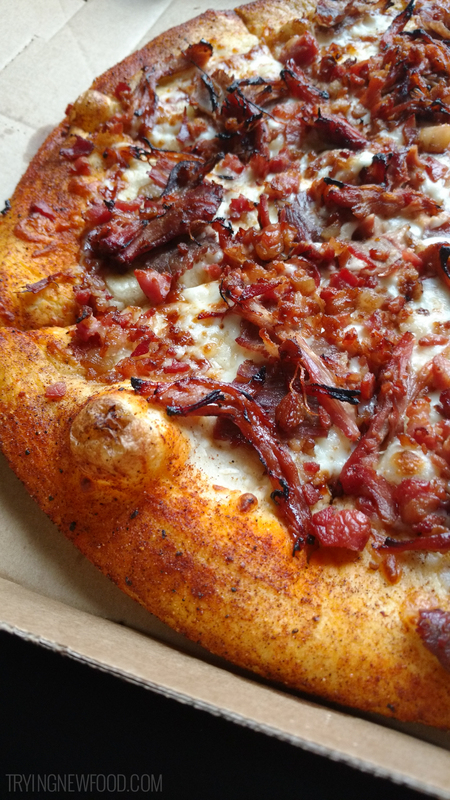 We absolutely loved it and will be ordering it the next time we’re craving BBQ and pizza.